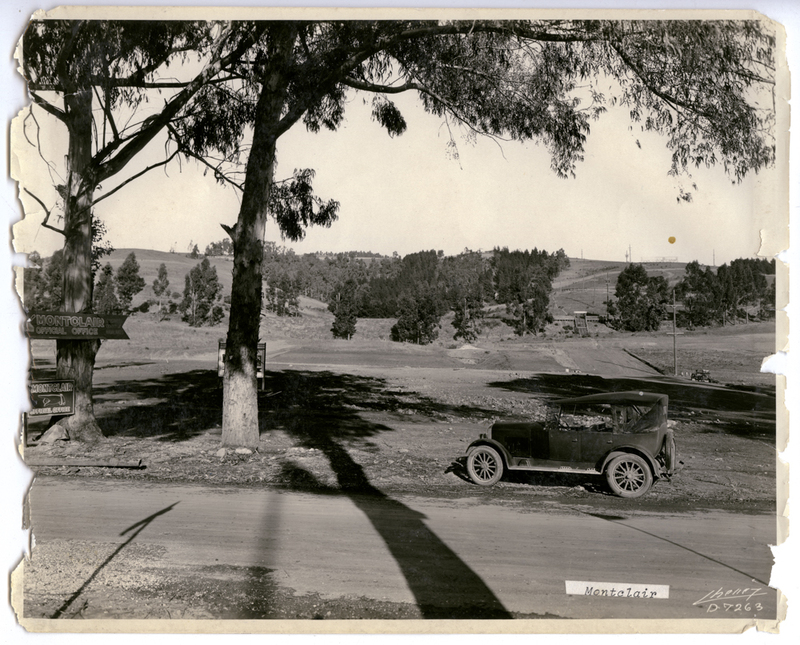 Some early photos of the Montclair District of Oakland – all are from the Oakland Public Library History Room. When I can I will show the area now. I will start off with one of the earliest photos of Montclair that I have seen. This is circa 1886. I hope that there are more like this. Students and teachers at Hays School front of the school. Oakland Public Library, Oakland History Room. The photo below is overlooking the area that is now Montclair Elementary School and in the distance you can see the intersection of Thornhill and Mountain Blvd and the Women’s Club. Montclair Real estate offices and trolley depot in view. The photo below is probably on LaSalle Ave from Mountain Blvd. the small building are where Highway 13 is now. circa 1925 Eston Cheney, photographer. The photo below is probably taken from where Highway 13 is now. Off in the distance is the Sacramento Northern Station located at what is now the top of LaSalle Ave as seen in the above photos. Fred F. Chopin on Montclair Realty Co.
Several winding dirt roads and homes in view.